We’ve got plenty of options for after-hours fun in Seattle’s backyard. I’m talking past midnight (or in some cases all night). 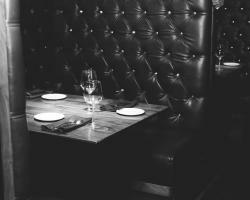 Here’s a few local hot spots for night owls looking for a good time or a bite to eat. Luxurious, delicious and open 24/7; it really doesn’t get much better than that! 13 Coins has been a Seattle-area tradition since 1967 and they haven’t slowed down a bit. From Dungeness crab omelet, to filet mignon, to veal piccata and everything in-between, you won’t go hungry here. Did I mention that the entire menu is available 24/7? There’s nothing quite like a rare rib eye at four o’clock in the morning. SeaTac’s favorite club sits on the 14th floor of the Doubletree by Hilton Seattle Airport. Guests can ride the glass elevators to the “Top of the Tower” and take in a view overlooking the city lights. Maxi&apos;s dance floor is guaranteed to fill up as the DJ spins the best R&B and hip-hop hits to keep the crowd going. The U-shaped bar offers plenty of mixed drinks and the party doesn’t stop until 1:30am on the weekend. One of Tukwila’s newest attractions sits atop Westfield Southcenter. Round 1 is everything. You might think that the name and the massive bowling pin advertising it would indicate that it’s nothing more than a bowling alley. You’d be mistaken. 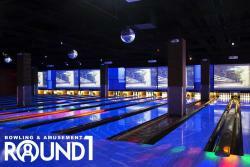 It’s an entertainment center with bowling, food, billiards, karaoke, and a state-of-the-art arcade. It’s a blast for young and old alike, and the best part is: it’s open until 2:00am, seven days a week! Great American Casino has two locations in Seattle Southside now that the new location is now open in Des Moines. Experience the thrill of baccarat, fortune pai gow, ultimate Texas hold’em, and blackjack and enjoy authentic Asian cuisine, 24/7. Intimidated by table games? 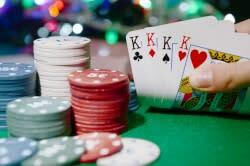 Fear not, for Great American Casino offers FREE baccarat and blackjack lessons to help you get in on the fun! This is the place to be in Des Moines for the big game! All Star Sports Bar has an amazing gameday environment (especially for Seahawks fans) with cold drinks, delicious food, plenty of TVs and games! Come here for the game, but stay for the food, drinks, and the good time. You just might find yourself caught up in a game of ping pong or pool until closing time (2:00am, seven days a week). The ancient Norse knew a thing or two about meat and beer, didn&apos;t they? Odin Brewing Co. is a Viking inspired brewery and tap room right across from Westfield Southcenter in Tukwila. This is the spot to be if you&apos;re looking for delicious, local craft beer. You can even see the brewing process during the day. At night, grab an Asgard IPA and enjoy a Viking platter of pulled pork, sausage, brisket and ribs.